MOTEGI - 2017 MotoGP Championship only leaves four more races. For now, the greatest opportunity to win is held by Repsol Honda rider Marc Marquez, who topped the driver's standings with 224 points. Following Marquez, there was Ducati Corse rider Andrea Dovizioso, who finished second with 208 points. Meanwhile, the third position is occupied by Yamaha Movistar racer, Maverick Vinales, with a collection of 196 points. Even the title race this season can still be followed up by the fifth rider, Valentino Rossi, who currently collects 168 points. Leaving four more races, it's still there are 100 points that can be collected Rossi to mourn Marquez's position at the top. However, when looking at bigger opportunities, obviously Vinales has a better chance than Rossi to become world champion this season. In fact, many parties are speculating that Yamaha will do Team Order in order to make Vinales become world champion. However, Rossi explained that currently, he is not working together to make Vinales a champion ( Team Order). Although, no doubt by Rossi that the opportunity to do Team Order could have happened when the distance Vinales with the leader's standings are really close. "At this time there is no ( Team Order). Yamaha usually does not do it. However, it depends on the championship. If the distance is very close, maybe it happened, "explained Rossi, adapting from Speedcafe, Friday (13/10/2017). 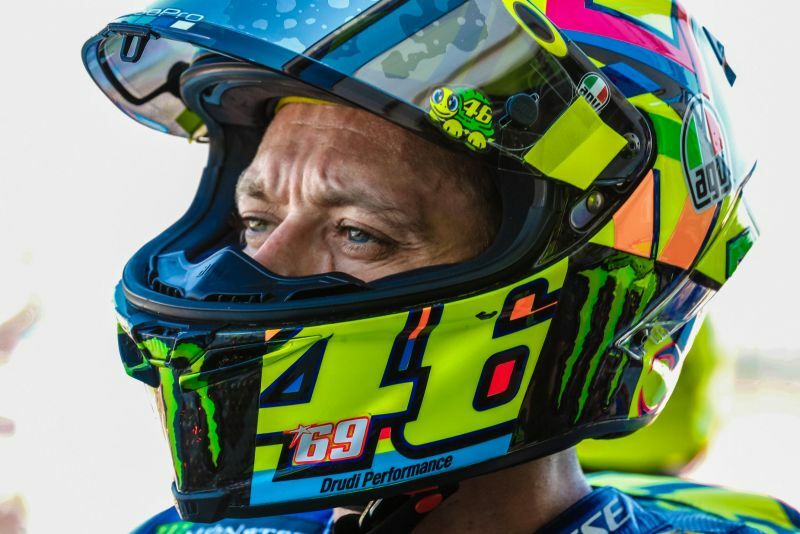 "This is an interesting situation because the three teams of manufacturers (Yamaha, Honda, Ducati) have a fast second racer and may be able to help the first driver for the championship," Rossi continued. MOTEGI - 2017 MotoGP Championship only leaves four more races. For now, the greatest opportunity to win is held by Repsol Honda rider Marc Marquez, who topped the drivers standings with 224 points.